Here’s a simple but profoundly useful chart for timing your egg boiling. Our family eats approximately three cartons of eggs a week. Insane, I know. Now that the Mr. and I are changing our eating plan to include more protein and working out the egg to person ration just skyrocketed. 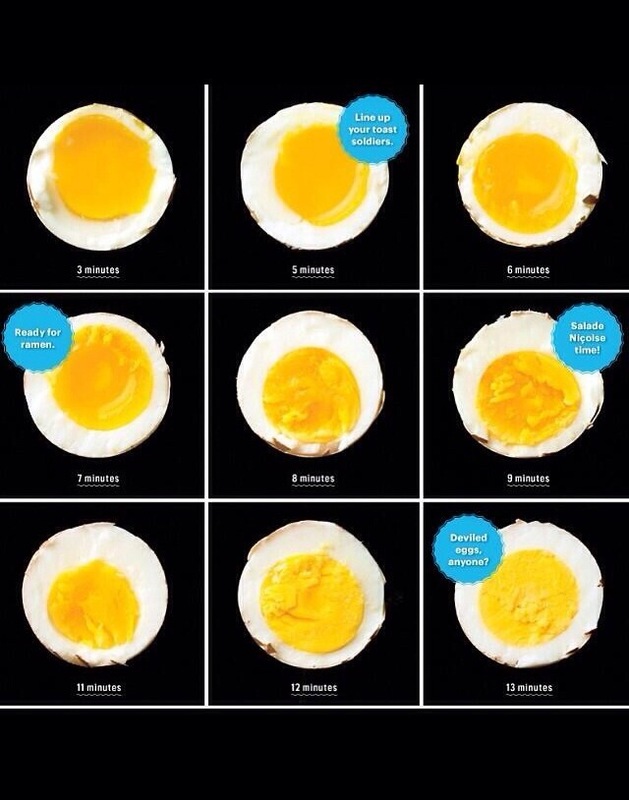 Having a guide to time your perfect egg is … right on time. I would say that I’m normally a 12 minute gal with some occasional 8 minute tendencies. What’s your perfect time? Previous Post How to use old bananas. Next Post Happy Thursday! Here are some funnies.